Seminole Heights is a haven for small businesses. 2017 will include the opening of a rum distillery, a wine bar and an apothecary and old school soda shop. Within the neighborhood, Ameraucana Print Shop helped spread the neighborhood’s iconic two-headed gator myth with their locally-printed tees and the Junquelow continues to enable the area’s artsy side. The neighborhood has also transformed into a foodie paradise. Enjoy the main course at The Rooster and Till or Ichicoro, and then experience something truly special at Whatever Pops (5127 North Florida Avenue). 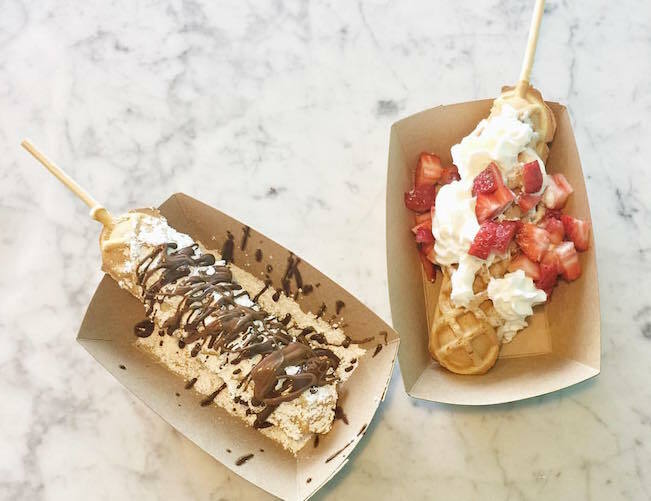 The shop serves gelato, espresso, gourmet ice pops, smoothies, acai bowls, milkshakes and the exceptionally addictive waffle on a stick dessert. Tampa Bay residents are already familiar with their ice pops — their cart is a mainstay at most local markets. Their permanent shop in Seminole Heights allows customers to become better acquainted with their sweet ingenuity. You haven’t lived until you’ve sampled their Affogatos — your choice of gelato topped with a shot of hot espresso. They officially opened at the start of December 2016. Their small spot in Seminole Heights features a little free library to whet your literary appetite as you satisfy your sweet tooth’s needs. 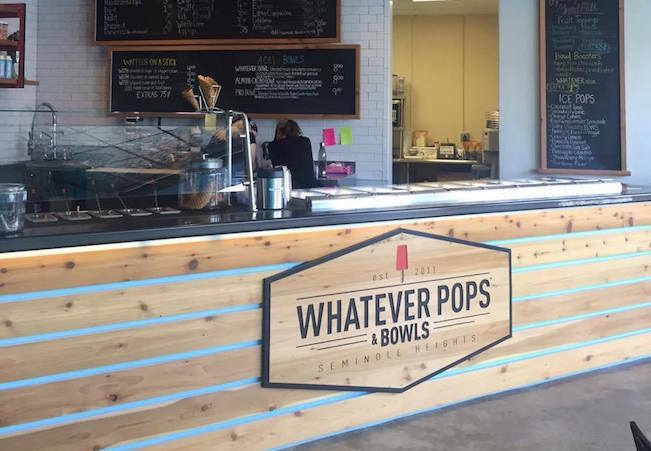 Whatever Pops is open every day from 11am-9pm. Need more convincing? See a video our first visit to the space featuring a waffle on a stick covered in powdered sugar and chocolate sauce, with peppermint gelato on the side.